As soon as you complete the setup of your Event/Membership, it will instantly appear in the Marketplace tab of the 18Birdies app to all users within a 100-mile radius of the golf facility that the Event/Membership will be taking place. In addition to the advertising to those users within 100 miles, you can use the Invitations tab to send the event invitation to specific people. Simply enter email addresses into the gray box to add an individual you'd like to invite. If you have a large list of individuals you wish to invite, simply paste them into the box. Click the Edit Email Template link to preview and edit the message you wish to send in the invitation. Consider a message that would appeal to your desired clientele. 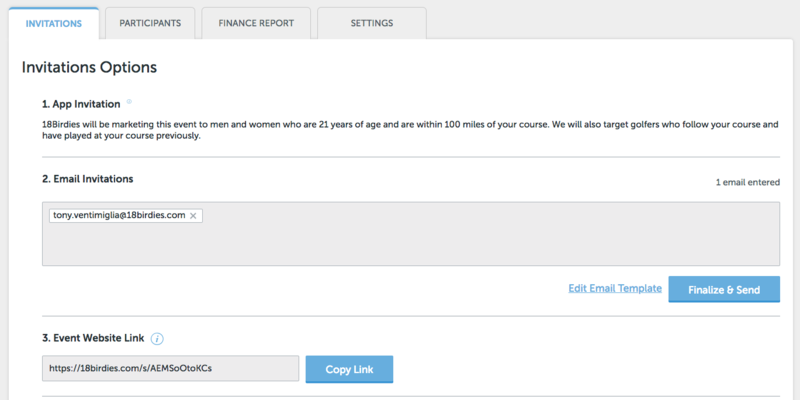 Once you're ready, save the template, choose Finalize and Send, and Send it! 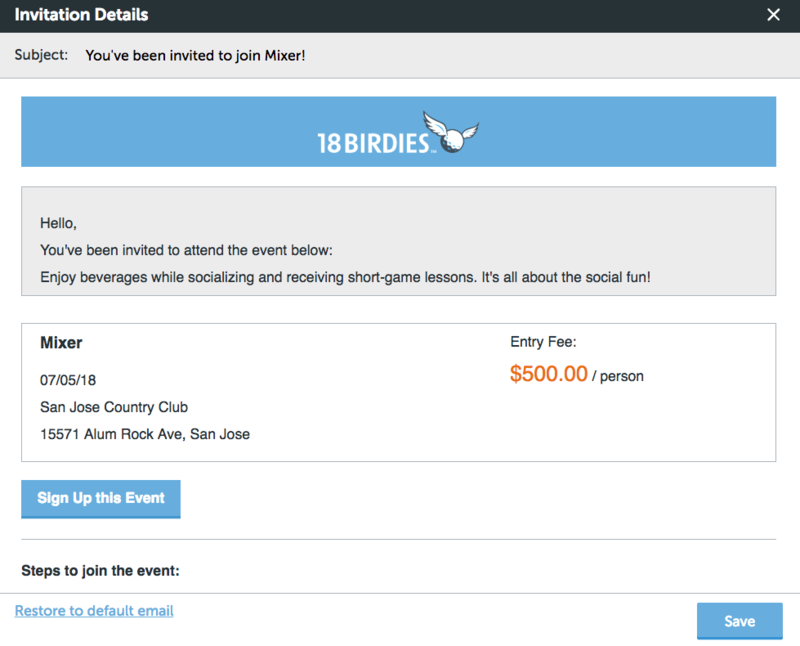 Those individuals that already have the 18Birdies app and receive your email invitation will be able to open up the registration website from the email, enter their 18Birdies app user login information, and register for the event/membership. If they are not already 18Birdies app users, they will be able to create an 18Birdies app account directly from the registration website, register and pay for the Event/Membership. In addition or instead of using the email invitations option, you have the ability to post the Event/Membership registration website in order to drive registrations. This is an active link that you have the freedom to post wherever you'd like. For example, you can simply email out this link, post it to your course website, Facebook page, 18Birdies course feed page, etc.